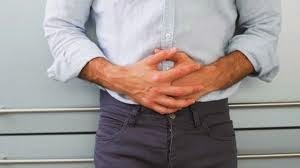 Ulcerative colitis is an inflammatory disease of the colon characterized by ulcers or open sores, with person manifesting symptoms like diarrhea and sometimes mixed with blood. it is also known to be an autoimmune disease. It's commonly mistaken with Crohn's disease, but the latter may involve the whole gastrointestinal tract. The disease has a period of remission and also exacerbation. Meaning to say, there is some point in time, when a person experiences free of symptoms. One treatment for ulcerative colitis is the removal of the entire large intestine. But, this is the last resort whenever the condition gets worst. In contrast, preventive measures can also address the condition by focusing to the negative immune response causing the disease to exacerbate, and one of these is the alternative therapy that involves variety of dietary treatment. Although some of the diets included to the treatment have no therapeutic claim, it shows promise to some people with the disease, decreasing the recurrence of exacerbation. Food diet rich in protein, complex carbohydrates and good fats is prescribed to a person with ulcerative colitis. Fish, meat, poultry, lactose-free milk, bread, fruit, vegetables, and small portion of healthy oil can be served on dining table. After learning the right food to eat, it is necessary to know that one has to practice small frequent feeding. This is to give enough time for bowels to digest the food freely, thus reducing the symptom as well. Meal time can be divided 5 - 6 times throughout the day. There are many benefits for consuming oatmeal, no wonder it's not a surprise for including this to diet treatment of a person with ulcerative colitis. Also, it is believed that oatmeal consumption lowers LDL reducing the risk of heart diseases.